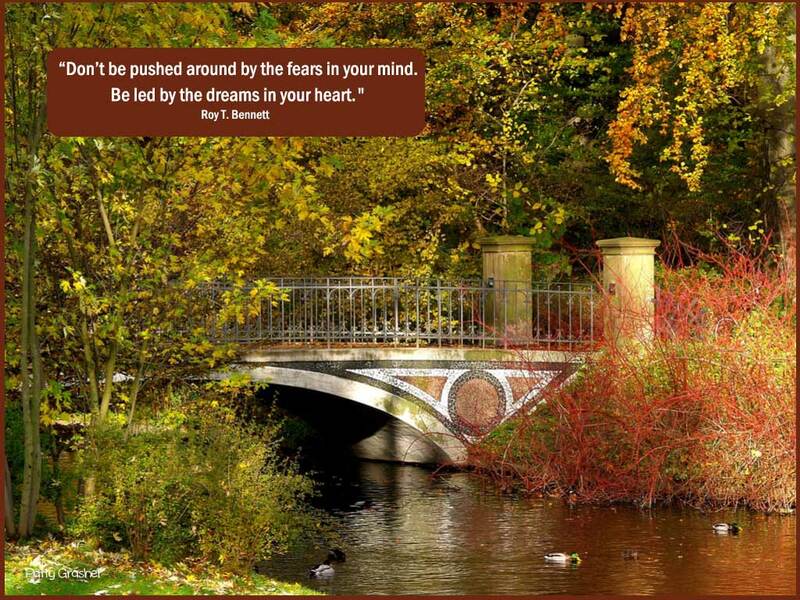 “Don’t be pushed around by the fears in your mind. So . . . I am wondering just how serious I can be with following my heart? Because I have dreams but they entail stepping out of my comfort, cozy place and into the “Yikes, can I do this?” zone. Today I had an over the top, fun and exciting free mentor session with Joan Stewart of “Publicity Hound.” And it was only supposed to be fifteen minutes but it was at least 45! And the ideas she had for me popped out like popcorn in a hot kettle. Join Toastmasters – did this and now she thinks I should do it again. Do public speaking at every chance I get – Library, Senior Centers, etc. Get my books on Amazon. – That’s safe, and comfortable – no problem there. And some other things – like maybe – down the road a bit get my books into a local Costco store. Hmmm. Maybe …. 2. Starting yet another book. I do read anywhere from three to five at a time. Always do. Just me.This is the first C. J. Box book – already in a “can’t put it down, but I gotta” frame of mind. 3. I got some M&M’s. Good, old, sweet-hearted Jon said I could have “one, and only one” trick or treat mini pack ahead of time. And none – repeat not any – yesterday. Not sure how long this is going to last. Joan’s advice sounds wonderful and right on the mark. Candy calls me all the time, lol. Attending a chorus concert this evening for one of the grands. I enjoy your comments, Cathy. Maybe because we agree on so many things. Ha. Ha. I do hear those silly M&M’s calling me again – but so far I have only had one tiny, trick or treat bag of them. Later we are going out to try a new restaurant – so I am being super good now – because I may not be at all good there!